3. 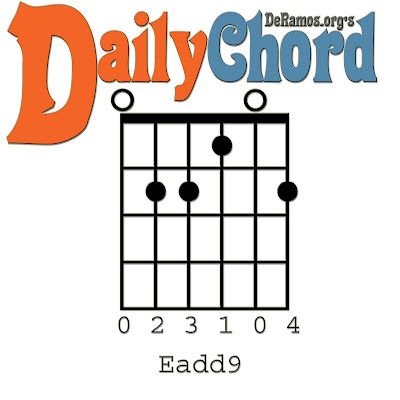 Play the Eadd9 chord. Intermediate info: You are adding an F# note on top of the E major triad (E-G#-B). The F# note is the 2nd note in the E major scale, but since it is in a higher octave, it can be referred to as a 9th note.